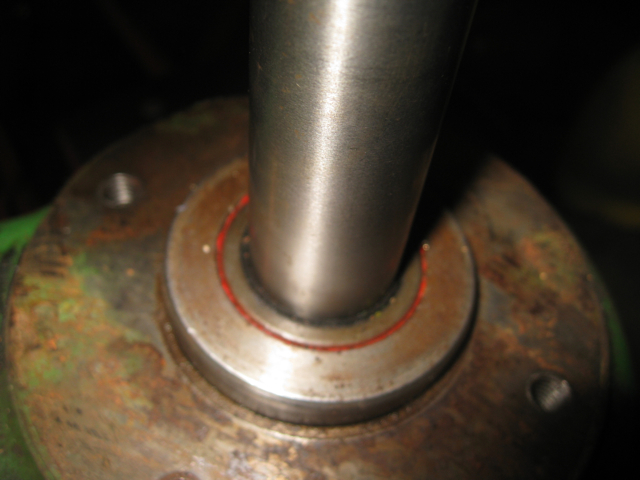 ← Bearing removal and installation thoughts! Finally got time to get out to the garage on the 14th, (Jbefore the weather turned cold on us). 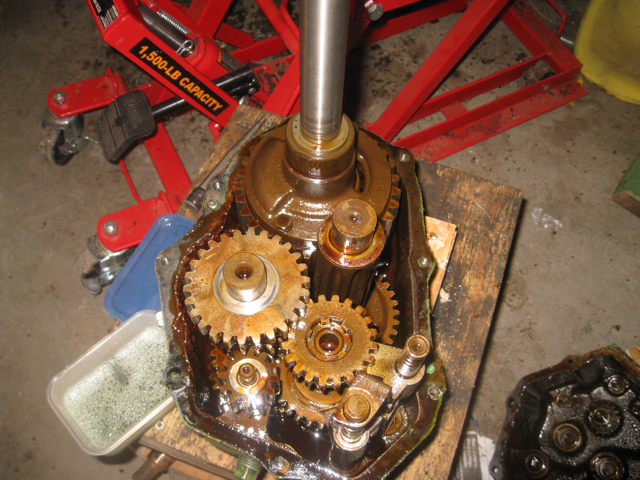 Cleaned up enough that I was able to get the transaxle onto my little engine stand. Had to put another brace underneath it so that it wouldn’t wobble sitting on the brake pulley. 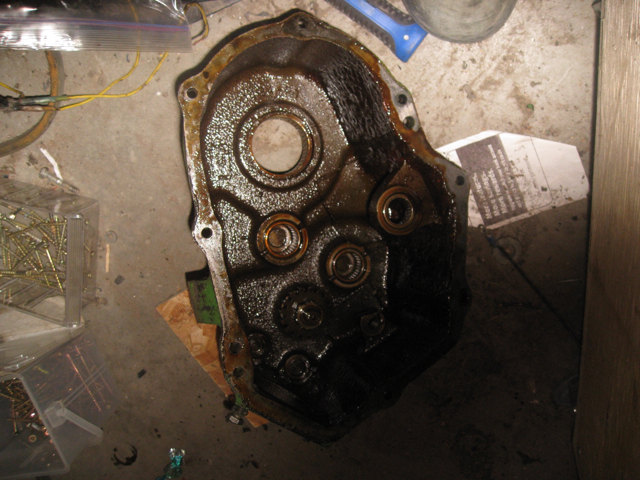 And there it is, in all of its oily glory… Unfortunately, the case came loose more easily than I would have thought, and I pulled the 3 gear assembly out while lifting the case off! DOH! AND I knocked the shift gates out of neutral! So, any thoughts on whether this three-gear assembly is chewed up enough to require replacement? 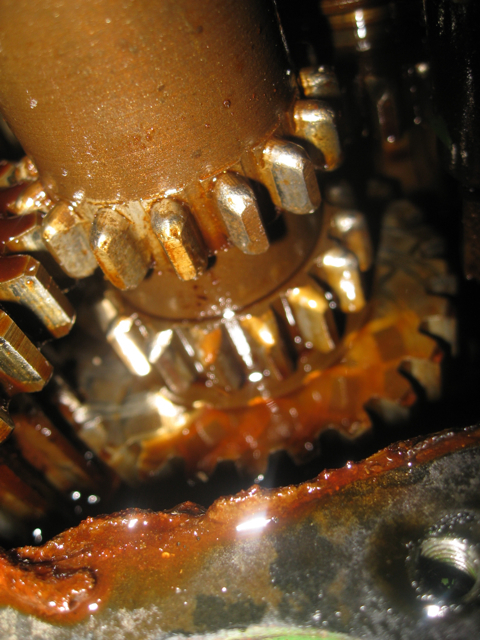 It looks like the teeth are kinda mangled (compared to some of the other gears, and compared to the bottom gear in the assembly), but I’ve never seen a NEW one. 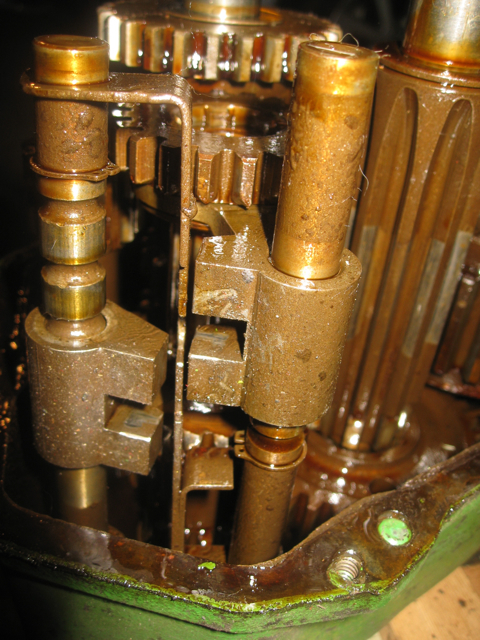 This entry was posted in Bror and tagged Bror, grungy, John Deere 112, transaxle. Bookmark the permalink. 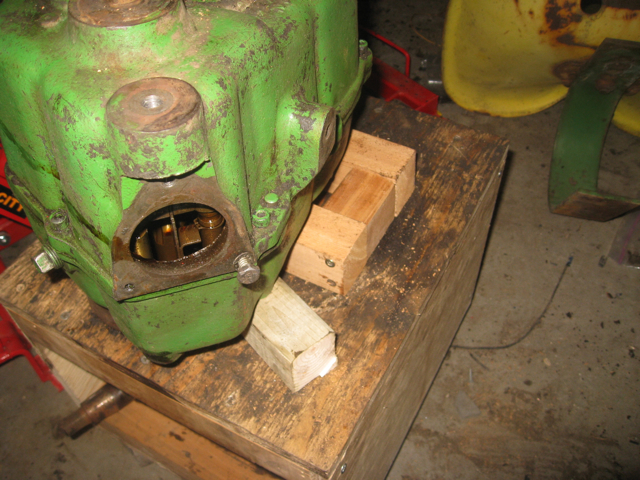 I have a john deere 210 and it has a loud humming in the rear end so i changed the fluid and it still makes the noize! What could it be?